When it comes to booking vacations, I usually always end up making spur of the moment travel decisions. I would love to say it's because of my spontaneity, but I think it has a little more to do with my organization skills (or lack there-of). For this reason, I absolutely LOVE sites like Jetsetter with their Flash Sales surrounding upcoming holidays. Covering 36 acres of mangrove, lagoon and powdery beachfront, the adults-only Blue Diamond has a sophistication that belies its proximity to Cancún and Playa del Carmen. Minimalist Zen rooms and an indoor/outdoor spa set the mood for relaxation, while all-inclusive rates banish mark-up stress. But unlike the buffet-driven properties in the nearby tourist towns, the service here is highly individualized. Think à la carte dining, customized minibars and golf cart chauffeurs at your beck and call. Leaving the ornamentation to nature, the 128 rooms are soothingly minimal. The decor eschews color and pattern in favor of clean lines and high-quality marble, limestone and polished bamboo. By day, floor-to-ceiling windows keep the interiors bright; by night, onyx lamps lend a softer glow. Adding to the Zen feel, Asian touches such as sliding Japanese doors and rock gardens remain from the property’s former life as a Mandarin Oriental. (The Spanish hotel group BlueBay gave the grounds and rooms a $5 million renovation and reopened the Blue Diamond in January 2012.) All the guestrooms have rain showers, top-of-the-line bath products, huge flat-screen TVs and customized minibars, which are replenished daily with large bottles of Absolut vodka and tequila. 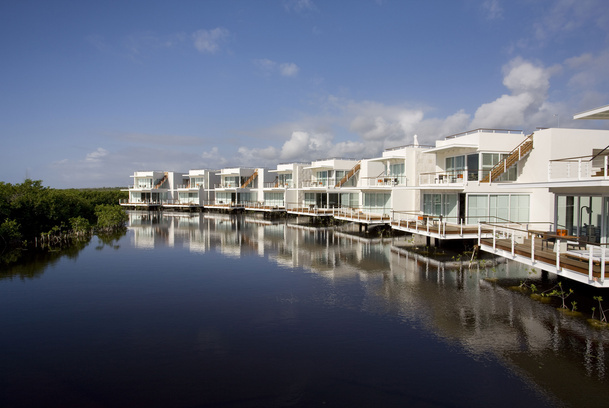 Eager golf cart chauffeurs shuttle guests between the two oceanfront pools — one for floating, one for laps — and the indoor/outdoor spa, which features his-and-hers hammams. Unlike many full-service hotels, which rely on mass buffets, Blue Diamond serves à la carte dishes at the three on-site restaurants. Ambar, named for its stunning amber chandelier, offers fine dining and an occasion to dress up, while the more casual Aguamarina and the beach tapas bar have Caribbean views. Thirty minutes from the resort, Xel-Ha is a natural water park of lagoons and cenotes where you can swim with dolphins and manatees or trek along the seabed in a retro diving helmet. While the vibe at the resort is decidedly mellow, downtown Playa del Carmen is ideal for club hopping. Start the night with cocktails and ocean views at theBlue Parrot Beach Club and work your way up to the Vegas-style variety show at Congo Bongo. For a change from the international fare at the resort, sample traditional Mayan dishes such as tamales with goat cheese atYaxche. 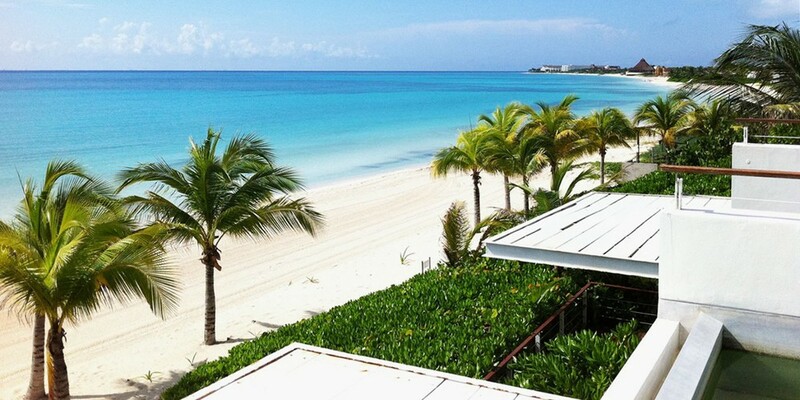 Read more about what to see, eat and do on the Riviera Maya.